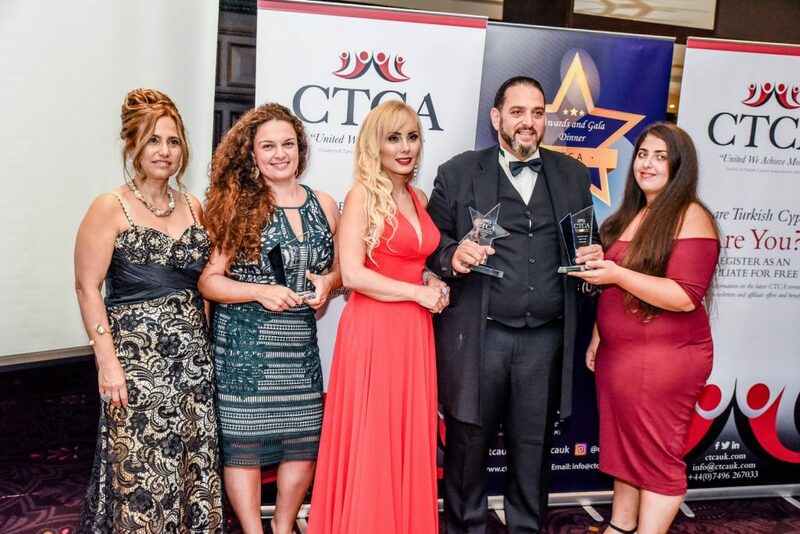 The Council of Turkish Cypriot Associations in Britain (CTCA UK) has scored their second big success of the year. After hosting a huge outdoor cultural festival in June that attracted 20,000 people, on Sunday night the national body representing the UK’s 300,000 Turkish Cypriots held the community’s first ever awards event to celebrate its high achievers. There were plenty of well-known faces among the 300 guests to attend the gala dinner, held on 1st October at the Imperial Hotel, Russell Square, in Central London. Among the notable guests present were: Turkish Republic of North Cyprus (TRNC) Ambassador Zehra Başaran, Sir David Amess, MP for Southend West, and Turkish Cypriot councillors Ahmet Durmuş, Erin Celebi, and Nick Halil Halebi. The event – the first of its kind for British Turkish Cypriots – also marked the official start of the community’s one hundredth year in Britain. In her welcoming speech, CTCA UK chair Leyla Kemal gave a potted history of the community’s presence since the first migrants arrived at the end of 1917, following Britain’s annexation of Cyprus from the Ottoman Empire. After highlighting its major milestones and leading Turkish Cypriot personalities, Mrs Kemal said the community’s numerous successes “demonstrates that we have been able to adapt to new environments, while at the same time retaining our traditions and culture, which we continue to share with younger generations and fellow Britons.” She ended her talk by urging British Turkish Cypriots to “continue to support CTCA, because united we can achieve more”. In her speech, TRNC Ambassador Zehra Başaran said Turkish Cypriots had migrated from Cyprus as a result of “historic, political, and economic incidents.” Noting there are more Turkish Cypriots in the diaspora than in North Cyprus and the evening’s importance in commemorating 100 years of migration, she praised British Turkish Cypriots for “upholding their roots and culture” and for the event, which would “recognise those members of the community who have shown outstanding talents at this time”. A total of 18 awards were presented on the night, which was hosted in both English and Turkish by three female presenters – Selda Ziya, Duygu Tağmaç, and Ayşegül Bıçkıcı. The first part of the ceremony recognised the outstanding contributions of voluntary groups and individuals to the community. Among the most poignant moments were the two Lifetime Achievement Awards, received by 91-year-old Mrs Akile Işın and 82-year-old Dr Özkan Hıfsı. 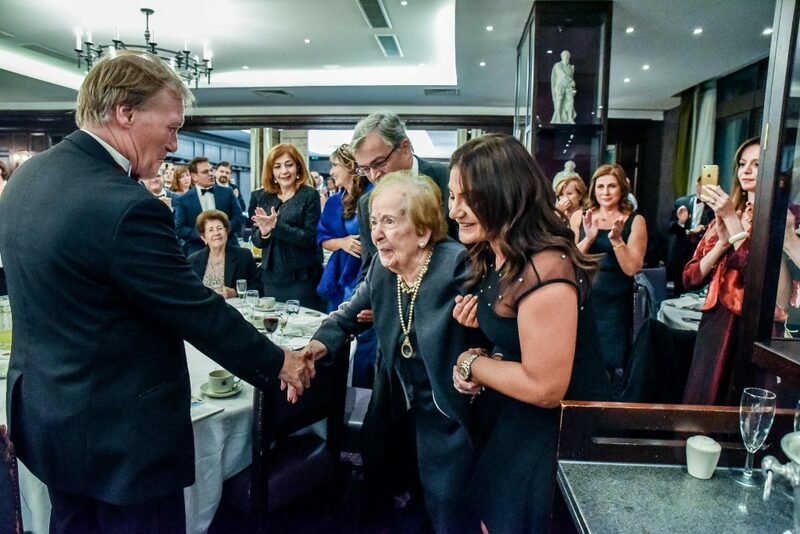 Each received a standing ovation as details of the life and legacy were shared with guests, their vision and selfless dedication at a critical time in Turkish Cypriot history paving the way for the modern era of community support groups. The second half of the evening celebrated the exceptional achievements of individuals, whether in their own fields, or in helping to raise the profile of Turkish Cypriot culture and/or North Cyprus in Britain. These included Cyprus Paradise, who carry more passengers to North Cyprus than any other tour operator, and philanthropist Tuncel Nalbantoğlu, whose generous support of Turkish Cypriot activities and organisations is a lifeline for many. The evening’s most high profile awards were left to the end. Businessman and BBC Dragon Touker Suleyman and bestselling author Sibel Hodge won the Turkish Cypriot Personalities of the Year. 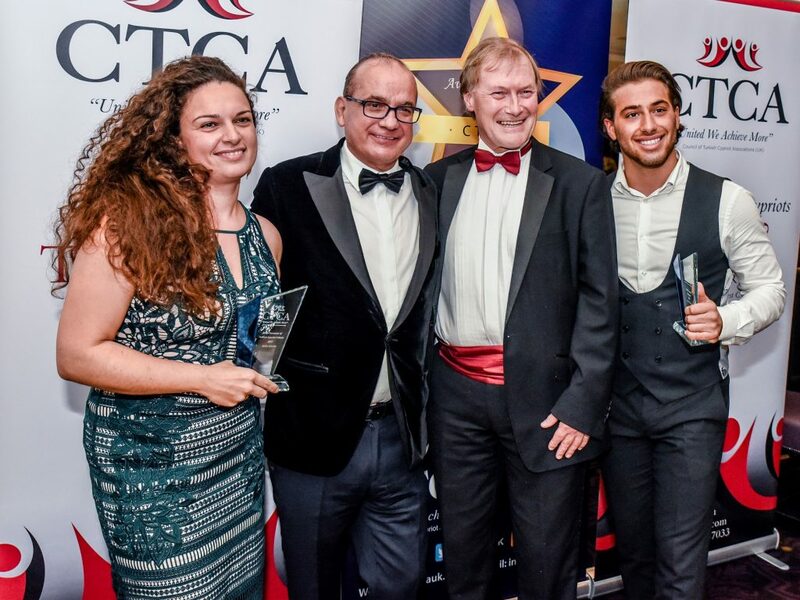 Celebrity chef Selin Kiazim and globe-trotting dancer Özgen were awarded for championing Turkish Cypriot culture in Britain, and TV personality Kem Cetinay and British Judo Champion Acelya Toprak were named this year’s Rising Stars. Özgen also performed two short sets on the night, while music during the awards ceremony and for the dance after was ably provided by Hüseyin Cemgünal of Cyprus Garden and now Cyprus Empire fame. Singers Özgür Tandoğan Canyurt and Tuğba Özcivan ensured everyone was up and dancing until midnight with their lively popular Turkish songs. Best Chairperson Attendance 2017: Tevfik Zekai, who had 100% attendance at meetings. Most Active & Collaborative Member 2017: Limasollular Association, under Arife Retvan’s leadership, it ran multiple activities and helped numerous other community groups do the same. Outstanding Festival Volunteer 2017: Duygu Tağmaç. She raised the most income from sponsor and stall sales, and donated the most time as a volunteer in run-up to and during the festival. Biggest Sponsor of Turkish Cypriot Cultural Festival 2017: Deluxe Fabrics – without their support, the festival could not have happened on the scale it did. Most Successful CTCA Member 2017: Turkish Women’s Philanthropic Association or TWPA, which has maintained charity status and assets, including a self-owned building. TWPA is among the most active groups, running multiple activities for members and fundraising for good causes. Best Promoter of Turkish Cypriot Culture 2017: Hornsey Atatürk Turkish School. Its junior team came first in 8th European Turkish Folk Dancing Championships. Lifetime Achievement Award 2017 (female): Akile Işın. Set to turn 92 next month, many did not expect this living legend to appear given she had a hip operation last week. There was not a dry eye in the house when she was named the recipient of this award. Cyprus-born, she was orphaned at 2, and with the support of her uncle, went on to win a scholarship to Cambridge, where she graduated as a teacher at a time when Cypriot women didn’t even finish high school. She set up Cyprus’ first Turkish Girls College and First Aid Centre, before coming to the UK. She was the first and for years the only woman on the CTCA board. She set up the TWPA and secured its charity status, fundraised for numerous local and global causes, and mentored many young Turkish Cypriots. Lifetime Achievement Award 2017 (male): Dr. Özkan Hıfsı. Now 82-years old, the Cyprus-born doctor played a pivotal role in the community, forming the CTCA UK in 1983. His community-orientated ways were visible early in his career, when he sacrificed a medical scholarship to the USA to instead stay in Cyprus during the troubles of the 1950s and 1960, working as a junior doctor during a chronic shortage of Turkish Cypriots doctors on the island. As CTCA head, he helped set up Turkish supplementary schools in Britain and instilled democratic principles into the CTCA constitution, notably by limiting the number of terms the chair can serve to ensure the people remain fresh and dynamic. Philanthropist of the Year 2017: Tuncel Nalbantoğlu. The veteran businessman is owner of Vatan Catering – one of the UK’s oldest and largest suppliers of doner kebab meats to UK food industry. He donates to multiple community groups and places adverts with community media to support their work. His son collected his award as Tuncel Nalbantoğlu is currently away in Cyprus. 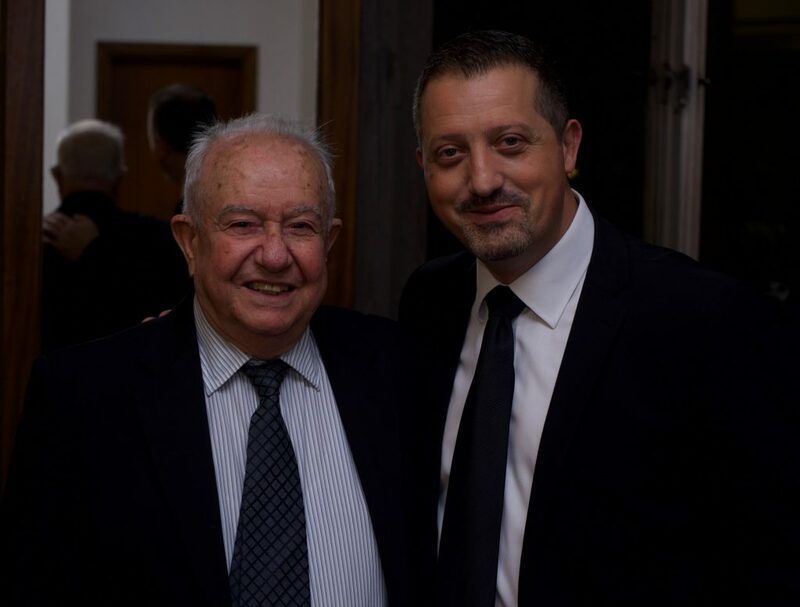 Best Contribution to Community Sports 2017: Kemal Soyer is the long-serving chair of the Turkish Community Football Association, who has given over 20 years’ service as a volunteer to the federation. The body remains the largest community group in Britain. People’s Choice Best Media 2017: Kıbrıs Genç TV, which is based in North Cyprus and also operates from the UK with its North London studio. Best Promotion of North Cyprus in Britain 2017: Cyprus Paradise is the biggest tour operator to North Cyprus, investing significantly into promoting North Cyprus as a destination. It is the winner of British Travel Award in 2016 for holidays to Southeast Europe, and is up for same award in 2017. Best Champion of Turkish Cypriot Culture 2017 (female): Selin Kiazim. The celebrity chef and owner of Oklava Restaurant in Shoreditch won this year’s BBC 2 Great British Menu 2017, where her muhallebi dessert was served at a banquet for the 140th Wimbledon Tennis Championships. She is the author of new cookbook Oklava: Recipes from a Turkish Cypriot Kitchen, which has been serialised in major British media such as The Times. Best Champion of Turkish Cypriot Culture 2017 (male): Özgen. A dancer, producer and choreographer Özgen’s globe-trotting dance theatre shows and workshops have helped popularise Turkish Cypriot music and dance worldwide. Rising Star 2017 (female): Acelya Toprak. Tipped as a future British Olympian, the teenager is the reigning British Judo Champion at the U57kg category. She recently won the European Open title and a silver medal at the European Junior Judo Championships. Rising Star 2017 (male): Kem Cetinay beat 80,000 people to be on ITV’s Love Island reality TV show. He won the nation’s heart and emerged as the winner from the show, which pulled in 2 million viewers per episode. He has been a regular on our screens ever since and is set to become a major British TV personality. Turkish Cypriot Personality of the Year 2017 (female): Sibel Hodge. Her book sales passed the one million mark this year. She has four bestselling novels, which have reached number 1 in multiple territories including the UK, USA, Canada and Germany. It’s a far cry from her start of her career when she received 200 rejections for her first novel. 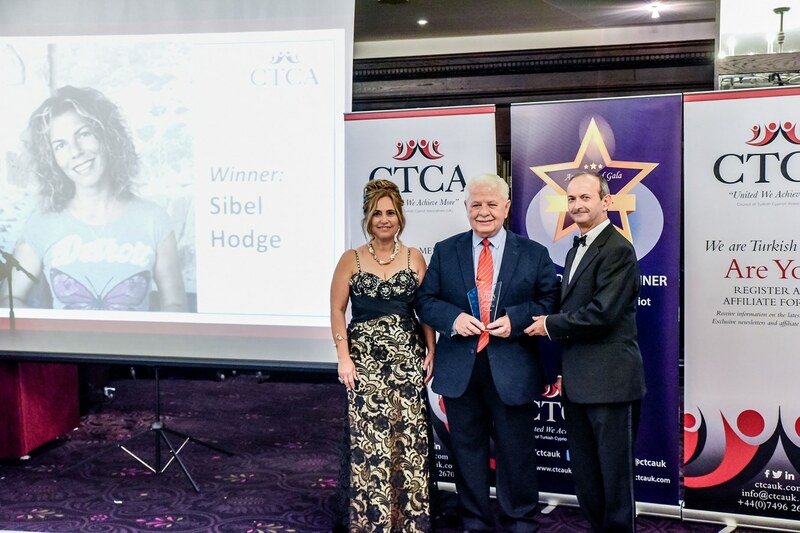 Uncle Fikret Derviş, himself a former CTCA chair, collected her award as Sibel Hodge is currently away in Cyprus. Turkish Cypriot Personality of the Year 2017 (male): Touker Suleyman. The Cyprus-born fashion tycoon and serial entrepreneur has experienced failure and success. Now a Dragon on the BBC’s hit TV show Dragon’s Den, he is very proud of his roots, as he regularly and publicly states, including on Sunday night during his acceptance speech. After receiving his award, Touker talked about the struggle of his parents and family as new migrants to Britain, having set up home in South London in 1958 when he was just five. Main photo top (L-R): Selin Kiazim, Touker Suleyman, Sir David Amess and Kem Cetinay. Photo © Roxane Grant.